This booklet presents the text of the Common Worship Funeral service, as well as supplementary prayers, Bible readings, Prayers of Entrusting and Commending, The Burial of Ashes, Psalms and Canticles. It includes dual pagination, allowing a funeral to be performed using both Common Worship: Pastoral Services and this booklet simultaneously. Common Worship by Church House Publishing was published by Church House Publishing in March 2017 and is our 1469th best seller. 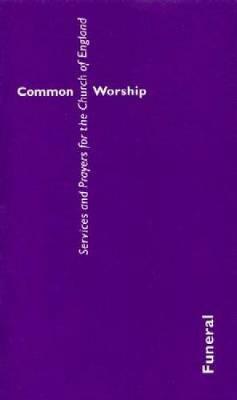 The ISBN for Common Worship is 9780715123348. Be the first to review Common Worship! Got a question? No problem! Just click here to ask us about Common Worship.